Xiaomi smartphones are very popular in Asia, especially in China and India. The phones are getting pretty popular in Nigeria and Africa as a whole, thanks to its wonderful features. The company even overtook Samsung in India to become the top smartphone vendor in 2017. Xiaomi smartphones are known globally to give great value for money and fast performance as well. Do you want to join in on the Xiaomi wagon? Well, these are the top best Xiaomi phones you can buy right now. The Mi Mix 2 is currently the king of all Xiaomi smartphones, sporting a bezel-less display as well. The 5.99-inch breathtaking screen has no top notch or physical home button. The fingerprint scanner is at the back of the full ceramic unibody. It boasts of 6GB RAM, 128GB internal storage and houses the Qualcomm Snapdragon 835 chipset. If you are looking to get a quality phone from this brand, Mi Mix 2 is one of the Best Xiaomi Phones to pick right now. The predecessor to the Mix 2 is still worthy to be on this list with amazing price and is no surprise that it makes the list of the top Best Xiaomi Phones to buy. 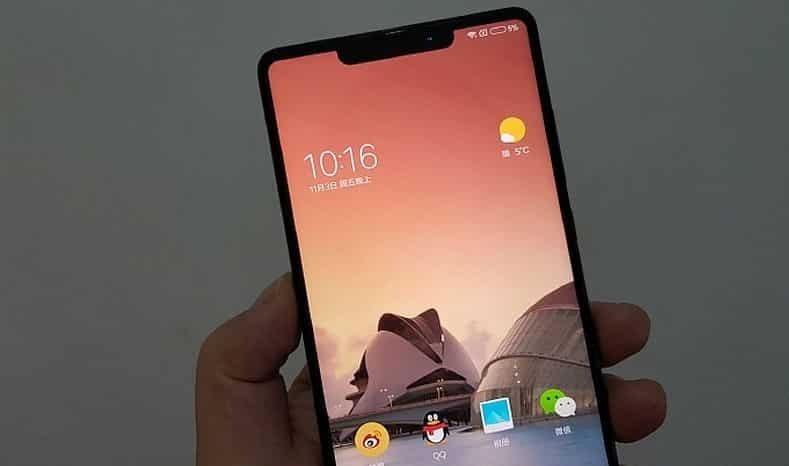 Looks exactly like the Mix 2 in terms of design and display. The Mi Mix comes with a much stronger battery, a bigger display screen among other features. Boasting of 256GB internal storage space, 6GB RAM and 16MP rear camera with f/2.0 aperture lens. Although it comes with the trending dual rear camera, there are some bezels on the screen. But the Mi 6 is among the Best Xiaomi Phones to get when it comes to speed and performance all thanks to the powerful processor, the Snapdragon 835. The Mi 6 is the latest smartphone from the standard Mi series, sporting a premium look. Mi 6 houses the Qualcomm Snapdragon 835 chipset as well as 6GB of RAM. The Xiaomi Mi Note 2 is very stunning with curved sides from the screen, giving a Galaxy S8 vibe. It’s powered by the Qualcomm Snapdragon 821 chipset for a faster overall performance. Boasts of 4GB RAM, 64GB internal storage and 22.56MP rear shooter. you cherish big screen and powerful battery, the Xiaomi Mi Max 2 is one of the Best Xiaomi Phones you should consider. If The Mi Max 2 comes with a big 6.44-inch display and a stunning body. One of its highlights is the 5300mAh battery underneath this beast that lasts for days. Furthermore, it’s powered by a Qualcomm Snapdragon 625 chipset as well with a 12MP rear shooter. Thi Mi 5X comes with dual 12MP + 12MP rear camera just like the Mi 6 focusing on picture quality. It runs on Android 7.0 Nougat operating system, with 4G RAM space and 64GB internal storage. Definitely worthy to be on the list of top best Xiaomi Phones. It is affordable and is Xiaomi first Android one device. This means it will be one of the first phones to get Google latest updates. It looks like the Mi 5X though, probably because of the dual rear camera and the similar specs. Although the Mi A1 runs on a newer Android 7.1.2 Nougat operating system. With a brilliant performance, its one of the top best Xiaomi Phones to buy. These are the top best Xiaomi Phones to buy at the moment, and they’re all available on Jumia. Although, if you are on a budget and want to use a Xiaomi smartphone, you can check their Redmi series.